And yes, I mean it. I've been playing 2K since 2K5 and, well, it looks like this year I'm renting both before buying. Live 10 looks amazing, to say the least, and all the features they have been introducing and touting are impressive. Seriously. The Euro Step looks awesome. The ability to choose which side of the rim you finish on is something that has needed addressing since forever ago. Step backs, hop jumpers, and two step jumpers also look great. Damn, I'm really considering switching sides this year. This year is going to be the toughest yet. i've never played 2K. only live. i've always enjoyed live's gameplay. It's got some interesting new moves, but it still looks as loose, arcadey and cartoony as ever to me, 2K is not in danger at all IMO. I saw the Derek Rose 2K trailer yesterday, it was sick, the most realistic looking NBA game I've ever seen. But that's one of 2Ks [only] problems. The animations are canned and drawn out. Live's are much shorter, thus giving the user much more control. It will be interesting to see how they match up head to head in my living room. It seems like every year people say Live is going to be improving but 2k always dominates them. I agree with Weezy, I'm still seeing an arcadey feel to the gameplay that I don't like. Plus, 2k's franchise mode is so much better and that's where I spend so much of my time. Trust me. I've been on 2K since I first played it on the Dreamcast. I fell in love with the game, but didn't buy it on my own 'til 2k5 because I didn't own a console that had 2K/Live. Ever since then I've been a 2K player. But sadly, 2K hasn't progressed much since 2K7. The last two years have been decent upgrades, but the presentation is atrocious and gameplay has felt a little stale as there has been very little progress. Like I said, I'm always going to love 2K, but this year I will rent both and buy one after comparing them both, and I think that could be Live by the way things are looking. Me and my bro used to love Live until live 07 came out and it was exactly the same gameplay as live 06. So later we decided to buy 2k7 and every since has been in love with it. One thing i really don't like about Live is it's so easy to stat pad your favorite players. Like i can easily get Kobe to have 60+ points with 10+ Reb 10+ assists 5+ steals shooting at over 65%. Live's difficulty is something underachieving. I've been on Superstar all the years, with probably 1 or 2 games giving me problems. Whereas the learning curve for Hall of Fame in 2K is the killer, but I still managed to achieve it by replaying alot of 2K(8). Anyway, demo for NBA Live 10 will be out tomorrow for XBL GOLD. 17 for PSN and XBL Silver. FINALLY I CAN PLAY AS THE NEW CHAMPIONS LOS ANGELES LAKERS VS NEW ORLANDO MAGIC!!!!! WOOHOOO!!!!!!!!!!! Thanks for the props Jeezy, this forum needs to be less bias towards 2K from what I see. But I'm really still a main Live and occasional 2K player. I always put the difficulty on the max which is Superstar even in the 2k games i put it on the max. Makes it so much fun because it's so much harder to beat any team. You must know, somewhere along the lines of Live 06 to 08, Live went downhill, ALOT. I think it's just 06 and 07. Previously I was playing Live on the PC, that's the only place I can play sim bball games on for not owning a console until the Xbox360 gave me life from Live 08 on. Live's Graphics has dramatically improved. Now if they could eliminate the stick figure movements. An Please get rid of the dunk and shot buttons. They also finnaly picked up an important sponsor. TEAM JORDAN. 2K still has the Jordan Brand sponsor too. MJ decided to sponsor both . I think I am gonna copp this NBA LIVE 10 for the hell of it just for kicks. Of Course from my cousins discount who works at GameStop in Vegas. Edited by ILLWiLL20, September 10, 2009 - 11:59 PM. I'm willing to bet anyone that you'll get destroyed even TRYING to dribble in the post with one of your bigs. And I'm talking almost every time you put the ball on the floor, like most bigs do. I'll probably rent Live 10, just so I can shoot 40 threes with Morrison. 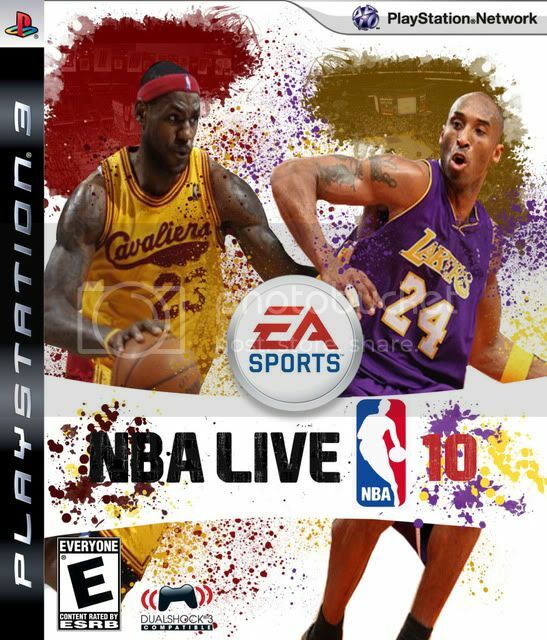 I think Live 07 was the worst bball game I've ever played. Worst sports game ever maybe. At least that's how I felt. I hope to try out both Live/2K this year. Been a 2K man these days but I'm no fanboy. I think it was well before that. As far as I remember Live 2001 for the PS1 was like the last good one. Then when it jumped to PS2 it had some BAD years making the transition, I think it was Live 2002 or 2003 that was the absolute worst ever. Whenever they added the stick control dribbling moves it got decent again, I believe it was 2004, whenever Jason Kidd was on the cover. It was still way too arcadey and there was no defense at all, but it was fun again.